As the weather cools with the change in seasons, the Greenwood Ave. Farmers Market staff reflects on the experience they’ve had since June 15, and its impact on the neighborhood. From Bike Fest where children and adults came together to test their biking skills, receive bike safety equipment, and purchase bicycles and tricycles, to visits with the mayor; from our grand opening with many speakers and representatives to our regular markets on Monday that are filled with produce, music, and smiles; we are always appreciative and humbled by the community that has been cultivated and grown with nutrition as its catalyst. We have watched a transformation in our customers occur throughout the season. A weary population who were accustomed to unreliable businesses and had learned to not trust new events such as a farmers market, has transitioned into a network of regular patrons who are energetic as they continue conversations with their new friends from the Monday before and encourage their friends and family to join them as they play bingo and shop for healthy food items. Those who were shy to be approached in the beginning are now the ones engaging our staff enthusiastically about what recipes they used last week and which produce they are excited about this week. 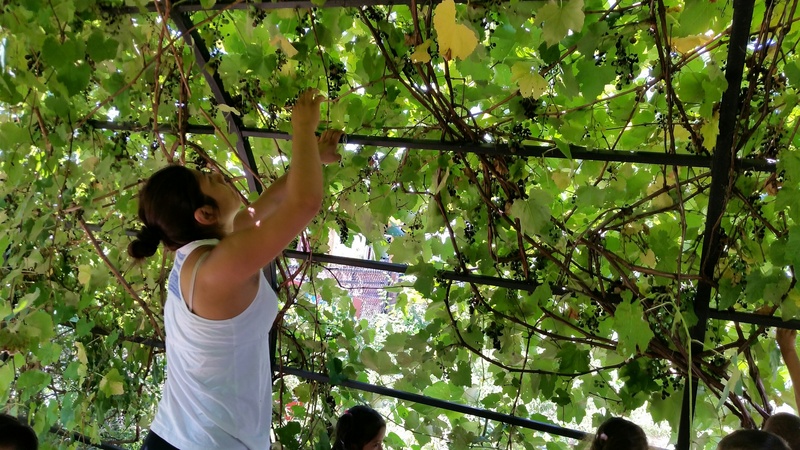 It is easy for us to enjoy ourselves at the market as our customers usually have a joke or kind word to share, and readily convey to us their appreciation for what the market brings to the neighborhood. We are pleased with our attendance for the market, as more than 3,200 people have visited the market to shop from June until September. Almost $1,460 in incentives have been distributed through our membership in programs such as the Greenwood Green Program and City Green’s Good Food Bucks Program with Wholesome Wave. These are incentives for customers with benefits such as SNAP/EBT, WIC, and FMNP to use them at the market and we match their purchases $1 for $1. Many locals benefited by the provided health services. Henry J. Austin served 112 patients during the market. Their services included nutrition consulting, asthma, HIV counseling and testing, information on insurance and the Affordable Care Act, and body mass index (BMI) readings. Horizon saw 60 patients throughout the Farmers Market and their services included blood glucose testing, blood pressure screenings, and body mass index (BMI) readings. The Impact Van served 151 patients during the market. Their services included body mass index (BMI) readings, blood pressure screenings, blood glucose testing, HbA1c’s for diabetes, and glaucoma and vision screenings. The community has shown us they are grateful for the market’s contribution to Trenton. The customers, vendors, services, DJs, and our own staff have all been influenced by being a part of growing a culture of health and bringing diverse populations together. We are glad to be introduced to each other through the means of nutrition and wellness, and intend to continue to strengthen our lives as we move forward as a communal unit. We are glad the surrounding area of the once vacant parking lot on the corner of Hudson and Greenwood Ave. have embraced the market into their lives. We are so happy to be there. 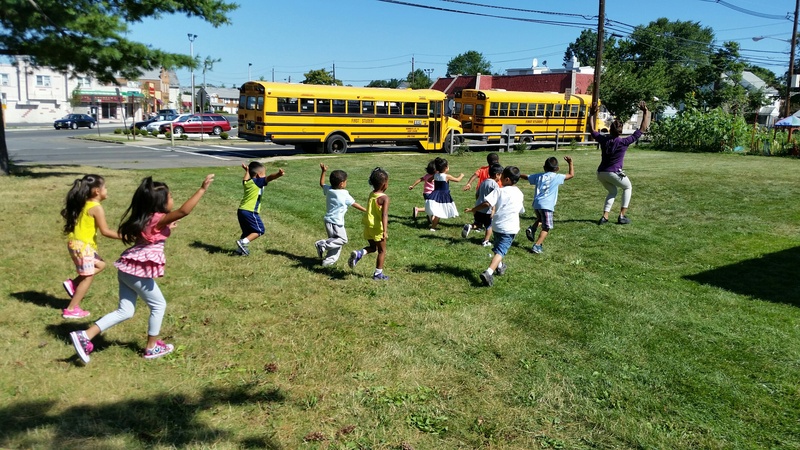 Ready, Set, Go – Beating Obesity in Somerset County! As we neared the end of our ShapingNJ grant period, just one item remained unchecked on our project list. Two of our three target communities – Bound Brook and Manville – had adopted Complete Streets, and we were pleased to learn that Somerville, the last of our target communities, had placed it on the agenda for their September 8 council meeting. With Healthier Somerset representatives in the audience, the resolution passed and Somerville became the eighth municipality in Somerset County to adopt a Complete Streets resolution. Over one third of Somerset County municipalities are now on board with a commitment to make our roads safer for all those who use them. When we started our project, we knew that we needed policy change to create an environment that would support healthier lifestyles. We learned that implementing change takes time, patience, perseverance, and collaboration. We also learned that partnerships not only make the workload easier, they also improve the final product. All of the partners who participated contributed ideas and energy that changed our perspective and helped us meet our objectives in ways that we had not imagined almost a year ago, when we prepared our grant application. 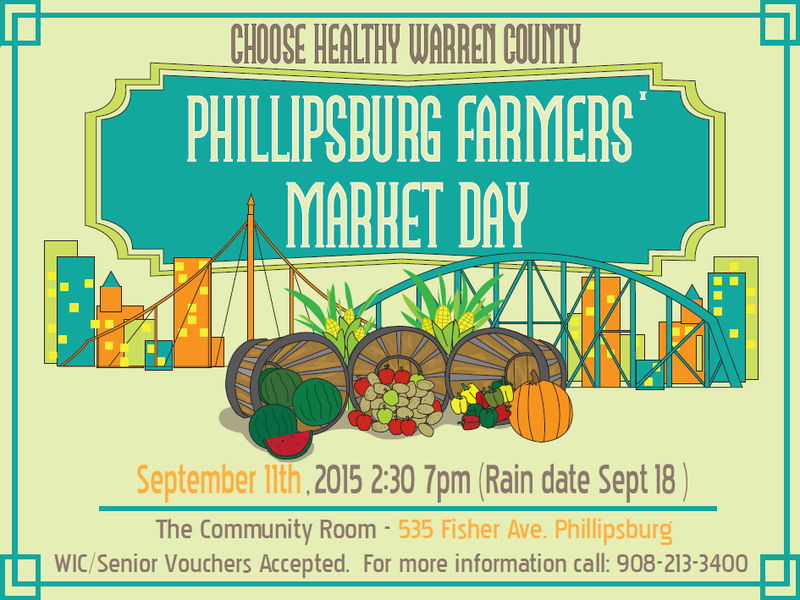 Get Ready for the Phillipsburg Farmers’ Market Day! 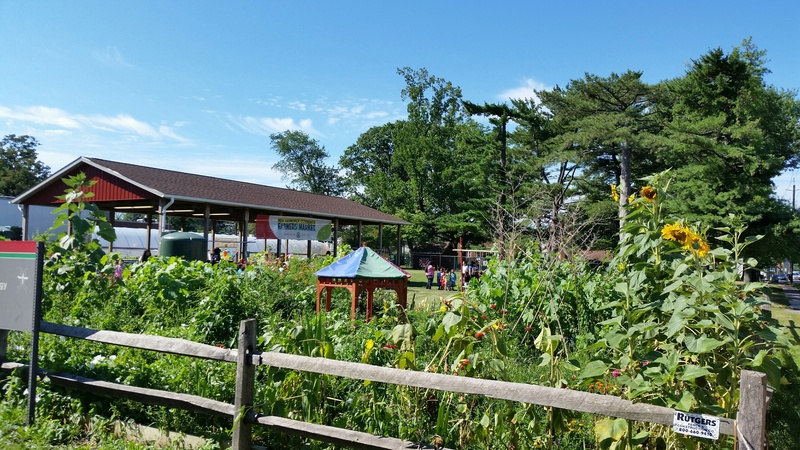 The Warren County Health Department and Rutgers Cooperative Extension SNAP-Ed are collaborating to host the Phillipsburg Farmers’ Market Day. The event will take place on September 11th between 2:30-7pm to promote more fruit and vegetable intake throughout the community. Hensler Farms and Mackey’s Orchard will be the primary vendors at the event supplying their freshest seasonal produce. 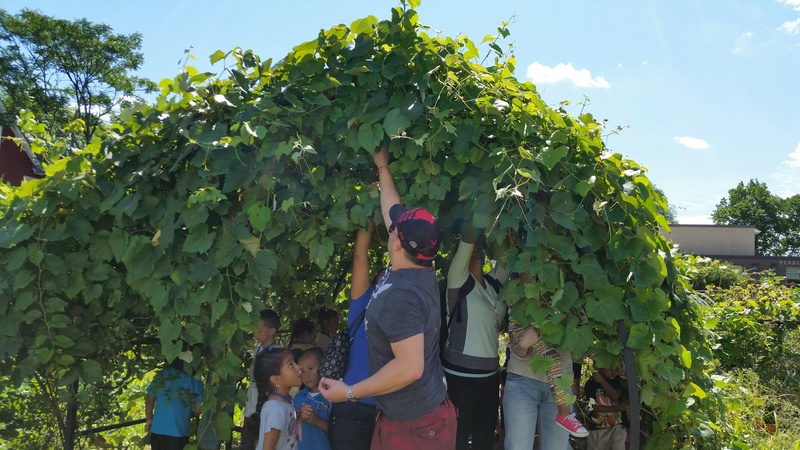 Since the purpose of the event is to increase fruit and vegetable intake throughout the community, the farmers are allowing local residents to use their Senior/WIC (FMNP) vouchers. This is not just your ordinary farmers’ market event; there will be fun family activities like free health screenings, free fruit and vegetable tasting samples, a door prize giveaway sponsored by the Phillipsburg Mayors Wellness Campaign, and many local health organizations will be having tables promoting their services. 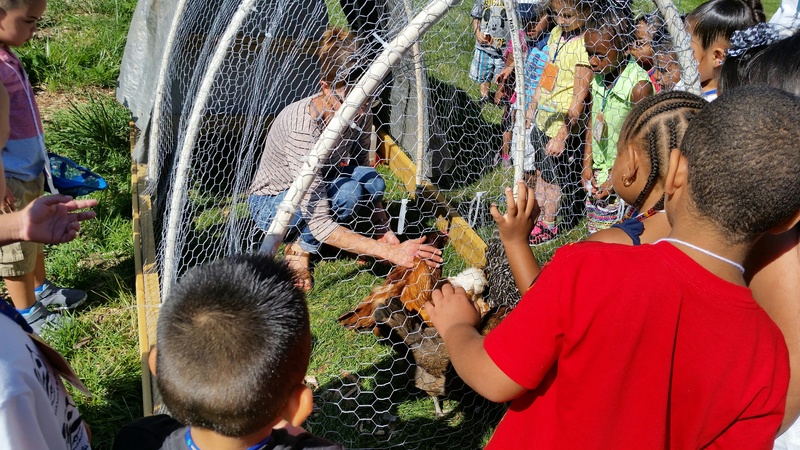 Another great part of the farmer’s market event will be all the free children’s activities. Nutrition students from Montclair State University and Public Health Students from East Stroudsburg University will be volunteering to help out with this event. Some activities include a moon bounce, face painting, Cross Fit for kids, beanbag toss and seed spitting. The kids will have the opportunity to make their own farmers’ market bag and participate in a scavenger hunt around the farmers market. 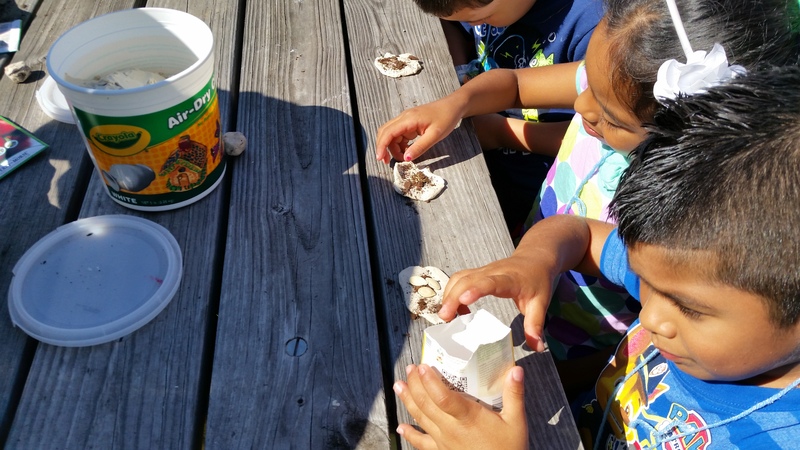 Kids learn through fun hands on activities and games and that it really the goal of this event. Through out this summer our families have been receiving some incredible produce from their CSA shares from Willow Brook Farms. That is the easy part, unless you ask our farmer Karen, she may have a different thought. The next step for our families has been taking all the ingredients to creating simple meals that are not only flavorful but also packed with necessary vitamins and nutrients. One super green our families have been enjoying each and every week is Swiss chard. 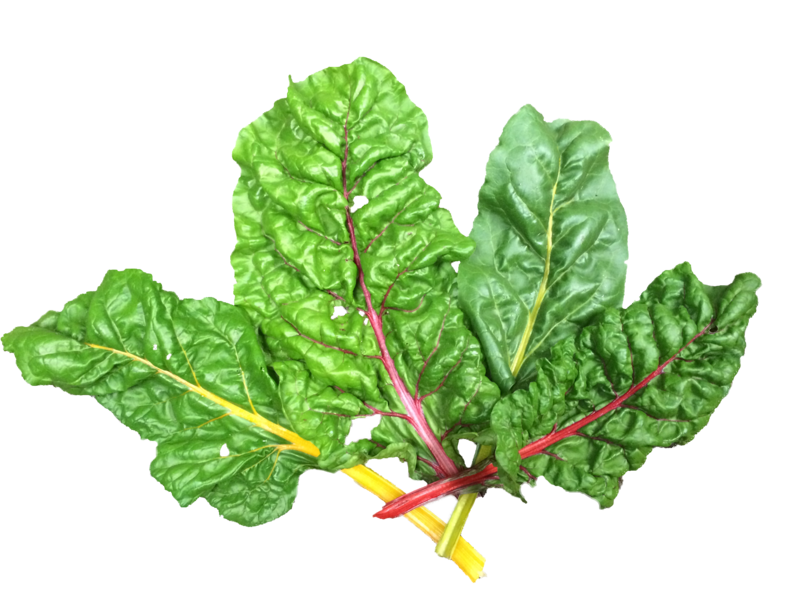 This vegetable has large green leaves (similar to spinach and kale) and vibrant colored stalks of red, white and yellow. 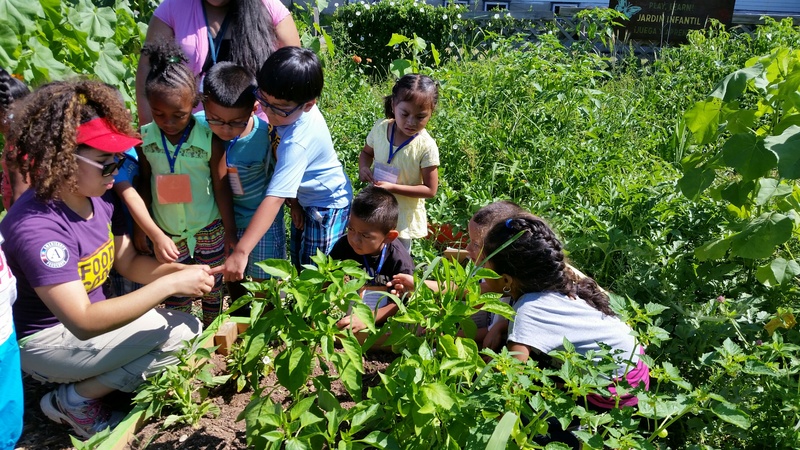 For some, this vegetable is a new experience as it was for our CSA families. Since this is a staple produce from Willow Brook Farms we had our families try a couple different recipes for Swiss chard. Find the recipe here. The families agreed, the sooner you cook the chard the better the flavor of the side. 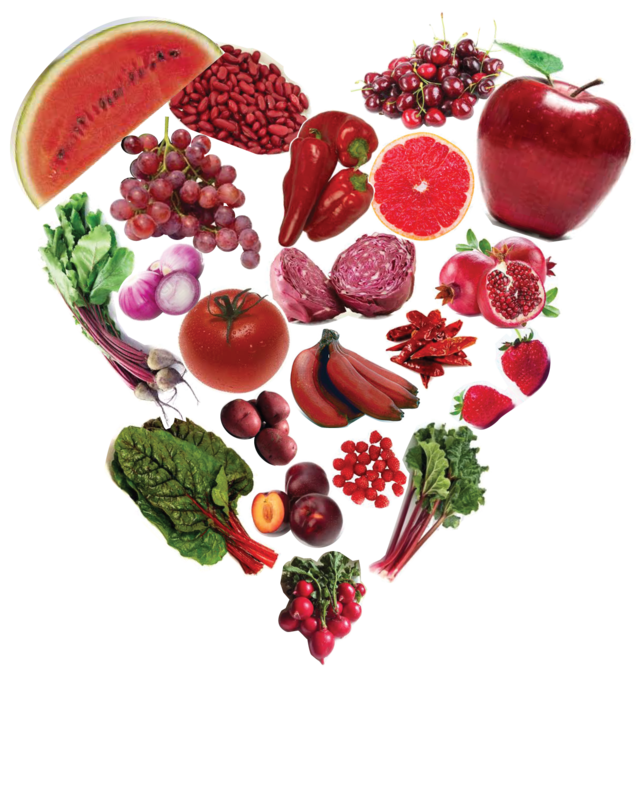 Either way, however, this is still a vegetable jam packed with phytonutrients, which have been found to even regulate blood pressure! Our families were amazed how the food they choose to eat have such an impact on not only their body but their families as well. Finding simplicity in the preparation of fresh ingredients was important to all of our families. They all agree, once they found how simple it was to get a flavorful meal preparation was a snap. Celebrating “Color Me Healthy” with Food Corp! 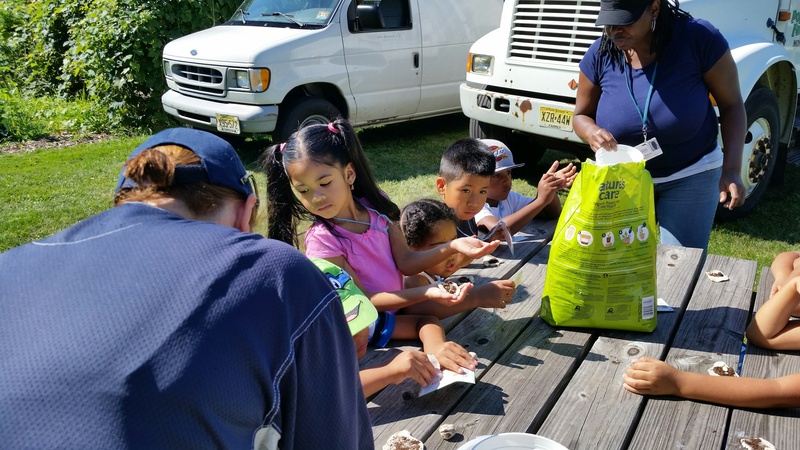 The YES Program of Catholic Charities, Diocese of Metuchen continues to provide opportunities of nutrition education with the families and children in New Brunswick. 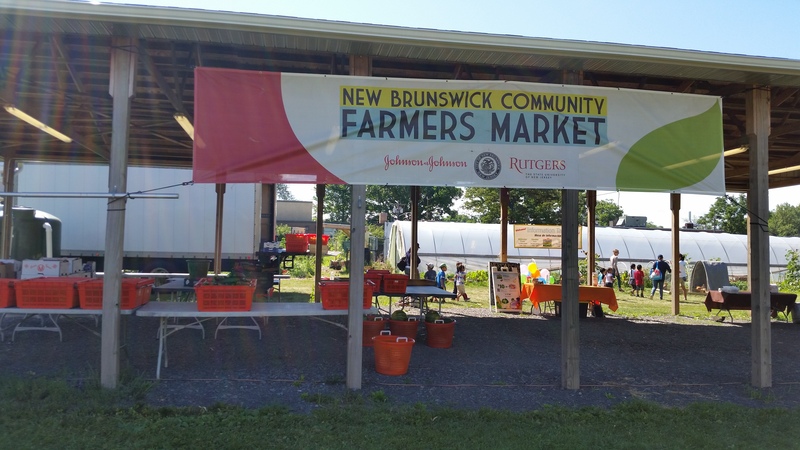 Children and families enjoyed a field trip to the New Brunswick Farmer’s Market on July 23, 2015. This culminating activity as part of our “Color Me Healthy” nutrition education classes was a great celebration of our continued work on improving the knowledge of the New Brunswick community on nutrition and health. 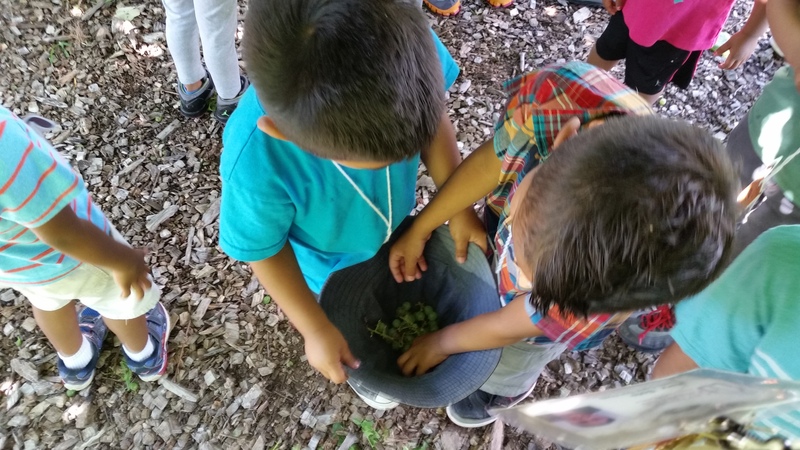 Children, families, and staff participated in a tour of the children’s garden, enjoyed tastings of fresh fruits and vegetables, made “seed balls” with clay for planting, and took a fresh peach home to eat! All families received a $5 Market Bucks coupon to spend at the Farmer’s Market before they left. While we were visiting, a van from Elijah’s Promise was there picking up produce to bring back to their kitchen! Elijah’s Promise is one of several community partners that the Market serves. 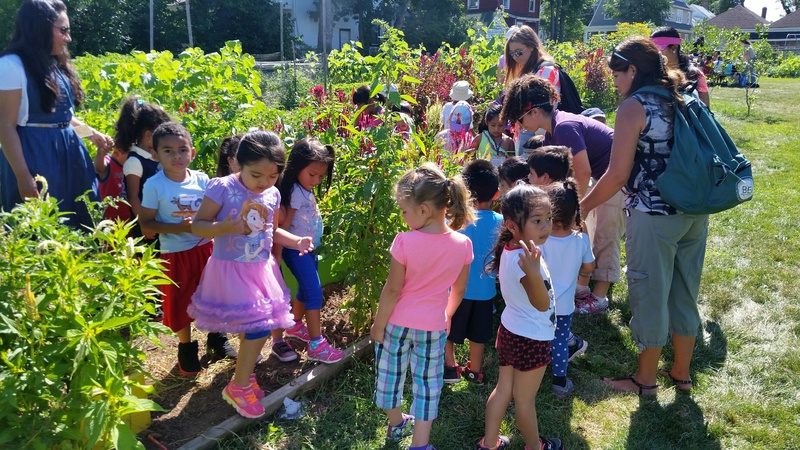 Catholic Charities YES Program continues to be amazed at the energy around the subject of promoting health and nutrition within New Brunswick. This could not be possible without all of our community partners and relationships that we have developed through this project!